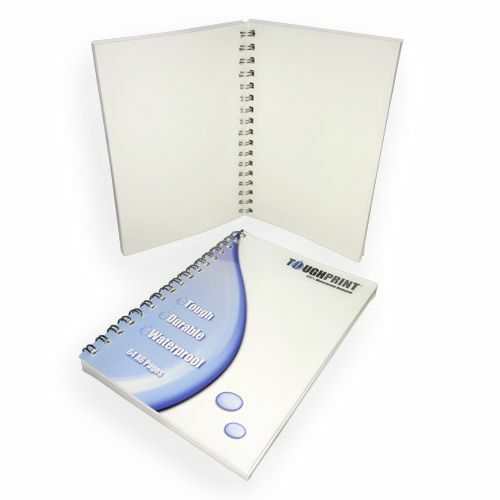 Toughprint Teslin Waterproof paper is a synthetic paper made of polypropylene. The material is water resistant and does not tear easily. It is used for maps, sky-maps, walking or cycling maps, outdoor advertising, underwater tags, luggage tags, menus and much more. 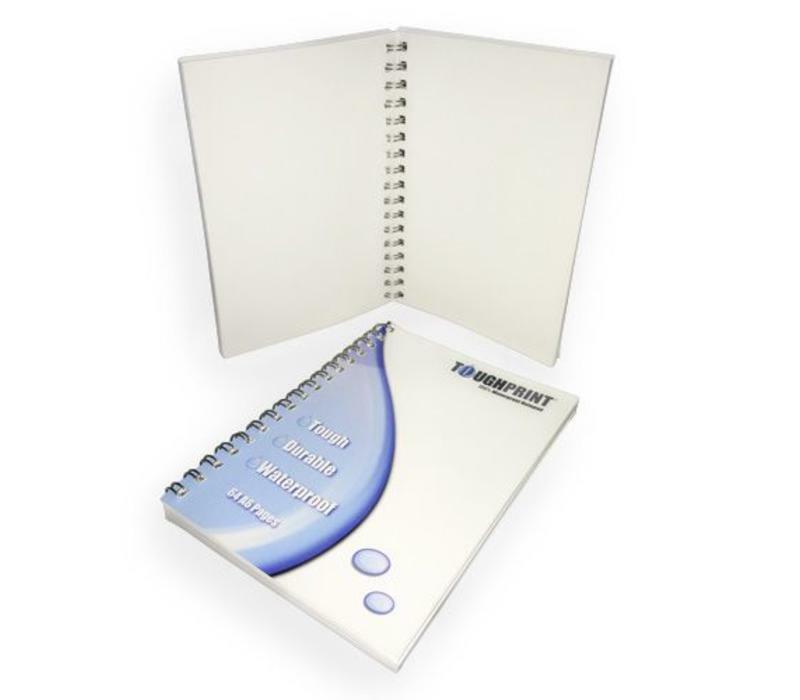 In the Toughprint Teslin notepad you can write with a normal pen, markers, highlighters or rollerball . Teslin can be laminated hot as well as cold, either manually or with a machine. If Teslin is laminated the strenght becomes 6-7 times stronger then normal coated paper. It stays firmly in place and it will protect your documents .Toughprint Teslin has a unique coating for inks to adhere very well and has an extremely smooth and matte surfaces. It can be provided with spray glue or double sided adhesive foil to create a sort of sticker. The notepad is A6 format, bound with iron spiral and it holds 64pages.